Not long now! The school summer holidays are creeping up on us fast and before we know it the kids will be home all day, every day, hankering to be entertained. Are you among those who haven’t had time to make summer holiday plans? If so, don’t start to panic just yet. A sunbed by the pool, a sunny beach to relax on and that book you’ve been trying to find time to read can still be more than a summer day fantasy with a last minute holiday. The good news is booking late doesn’t have to mean settling for what’s left. 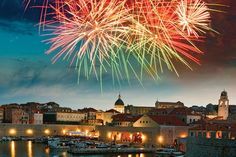 We’ve picked our top four destinations with the best last minute holiday deals still available in August and September, so you can still jet off and enjoy a week of swim, eat, sleep and repeat for summer 2017. There’s a reason why Crete is one of Greece’s most famous holiday destinations, it has something for everyone! Leave the busy resorts to those looking for all night dancing. Instead, come with us to more beautifully untouched areas… Spend your week in a villa near a quiet cove, or a secluded beach with sleepy mountain villages just a short drive away. For such a small island Crete has plenty of activities to keep the whole family happy. Get to know the island’s mountains and plateaus by walking, climbing or driving around. Talking of climbing, caving is a popular activity too and a great hit with teenagers. Find an expert and visit the island’s world-famous gorges. Back in civilisation, Crete’s villages are treasure chests of local customs and traditions, while along the coast watersports are ten to the dozen. Make this the holiday you have a go at diving or snorkelling, or join a boat trip and catch some fish for your dinner. 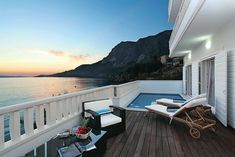 A great last minute holiday deal in Crete is Villa Minos in Plaka. It is built on the hillside with stunning views along the coastline and across Souda Bay. You can walk into Plaka village in five minutes and shop in the mini markets or enjoy a meal in one of the tavernas. The larger resort of Almiryda is a five minute drive away with its lovely sandy beach, bars, shops and restaurants. An island of year-round sunshine, what’s not to love about this paradise on earth? Once visited, nobody gets away without becoming smitten by this volcanic land full of breathtaking beauty spots, endless sandy beaches and fascinating history. Our villas are dotted all over the island – a good job as there are so many wonderful places to visit! 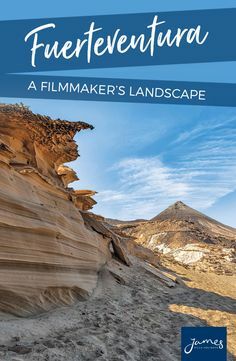 Our many Lanzarote blog posts will give you the low down and help you start planning what you’d like to see while you’re there. The most dramatic sight to take in is the Timanfaya National Park. Here, Mother Nature is at her most spectacular. Be transported to an unearthly landscape and learn about all things volcanic – you’ll be surprised at what you discover! It goes without saying that the beaches, apart from being wonderful places to lounge on and relax, also offer every kind of watersport you could shake your snorkel at. If you’ve always dreamed of water skiing, here’s your chance. Dolphin watching boat trip anyone? Oh, and let’s not forget to mention the waterparks. Slides, rapids and whirlpools should tick the kids’ boxes! From the Sunday market in Teguise to Cesar Manrique’s legacy of work, Lanzarote will fill your boots with pleasure during your stay. Experience Puerto del Carmen as if it were your home town in Villa Vivienne. 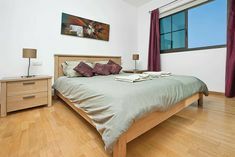 Its fantastic, central position is just a stone’s throw from the shops, restaurants and bars. Oh, and you can walk to the sandy beach too. This modern villa has two terraces to choose from. Serve up your barbecue and look out over the pool with a partial view of the sea, or savour some locally grown olives and enjoy the mountain backdrop from the sun terrace off the kitchen. 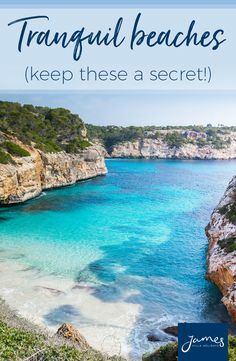 It is no secret how much we love Mallorca! This Balearic Island is a medley of old and new, modern life and natural beauty and popular beaches and secluded bays. Whether you’re looking for a beach resort or a hillside hideaway, we have something to fit the bill. Palma is a wonderful city to explore. Savour the capital lifestyle that bustles seamlessly alongside the 14th century cathedral and Moorish buildings. Another day, head out to the mountain villages and select tapas from the daily chalked up menus outside the local eateries, perhaps washed down with a glass of the local wine. Tick off the beautiful beaches as you work your way around the island, making time to fit in an excursion on the vintage train from Palma to Soller. 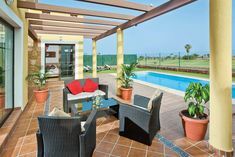 Can Tofol in Alcudia is a great last minute holiday deal for taking the wider family on holiday as it sleeps up to eight people. We challenge you to decide which is the prettiest out of the nearby coves of Sant Pere and Sant Joan. Oh, and you’re going to love the purpose built annex! 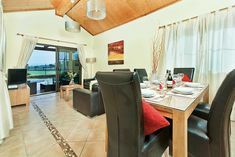 Not only is it the perfect area for enjoying outdoor meals, it has an en-suite bedroom too. Siesta time, anyone? Who doesn’t have the Algarve on their European bucket list? Even those who have crossed it off want to return as soon as possible and it’s easy to see why. The climate, the hospitality, the beaches, the golf and the marinas are just a handful of reasons why holidaymakers return year after year. Why not dip your toes in the Atlantic this summer? Our villas along the southern coast offer the perfect base to explore this top destination and discover the Portuguese way of life. Being one of the most sought after holiday destinations, you won’t be surprised to see there’s an awful lot on offer when it comes to things to do on the Algarve. Fun for the whole family awaits at any one of several waterparks, not to mention the popular Zoomarine. Continue your watery adventures on a boat trip to sea caves, rock sculptures and grottos. For culture vultures the ancient Moorish capital of Silves has heaps to explore, while the pretty village of Porches sells some wonderful pottery. You’ll find yourself going to great lengths to fit some in your suitcase! Do visit the Roman spa in the mountains at Monchique too. A fabulous day can be topped off with a sunset at Fim do Mundo – Portugal’s Land’s End. We promise you won’t regret it! Villa Olive Tree is the perfect place to escape to and relax for a week. The kids can run around and let off steam while you make the most of the local, natural spring water. Renowned for its healing properties, you’ll come back feeling brand new! These are our top four destinations for summer 2017, which one is tugging your heartstrings? Take a look at all of our last minute deals on the website and make your 2017 holiday dream come true.